The Dubuque Chamber Players is a professional chamber music ensemble based in Dubuque, Iowa. The mission of the ensemble is to expertly perform high quality, relevant chamber music repertoire in traditional and non-traditional settings. 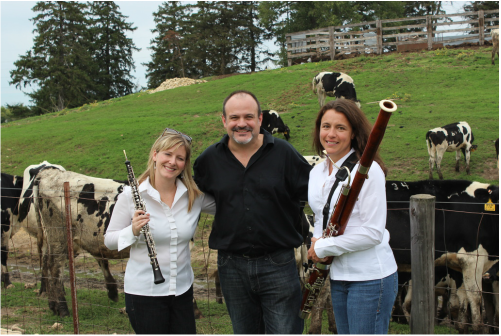 The core members of the ensemble are Heather Huckleberry, oboe, Marcia Martin, bassoon, and Alan Huckleberry, piano. As the Dubuque Arts Council's "Artists-in-Residence" for the 2014-2015 season, the Chamber Players performed over 30 performances for thousands of area school children in a two week residency in the public schools.